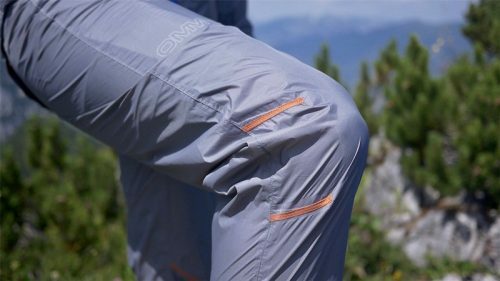 An ultra lightweight, breathable waterproof pant that packs down to the size of a tennis ball. Ideal for when you need to move fast & light. Constructed using minimal taped seams in a 2 layer waterproof fabric. When combined with the Halo Smock the Halo suit weighs a total of 175g. Combined with the Halo Jacket or Smock the Halo Pant has a combined weight of 175g. The suit packs down to the size of a tennis ball whilst still providing mountains shell protection. The Halo Pant is ideal for lightweight running or mixed conditions. Taped seams, minimal panel construction and a hydrostatic head that can support a 10,000mm water column ensure the Halo pant provides the protection needed for challenging conditions. 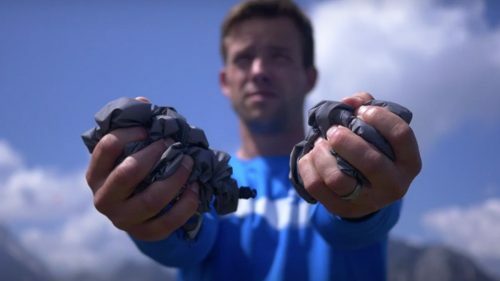 Freedom of movement is important for high energy activities like the OMM event. 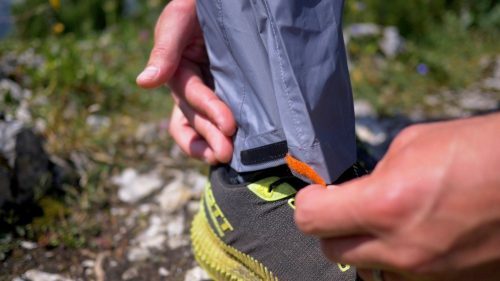 We’ve designed articulated knees into the Halo shell giving you unhindered movement whilst running and scrambling.